We have been helping Citrus and neighboring county residents with today's safe and natural chiropractic care for over 16 years. It is not only emotionally fulfilling, but also humbling. As a chiropractor, I get to witness miracles every day. Will yours be our next? What you’ll find is what so many other Crystal River-area residents have discovered: Chiropractic is amazingly simple. Chiropractic is remarkably safe, and chiropractors can be helpful for a variety of health problems—problems that rarely resolve on their own. Waiting will only postpone the moment you enjoy relief. Have you been in an auto accident? Click here to learn more about how chiropractic can help you. Please explore our information-rich chiropractic site so you fully understand what chiropractic is, what chiropractors do and what you can expect in our office. 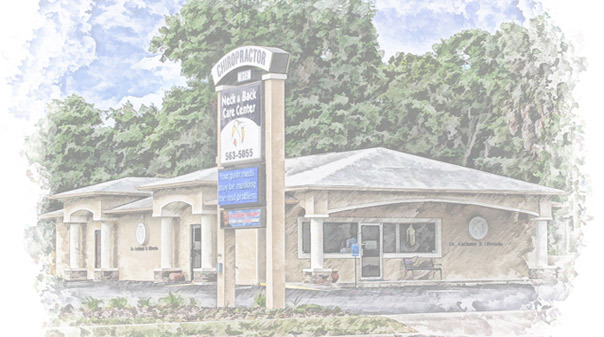 When you’re ready, call Neck and Back Care Center who helps Crystal River residents whether they want relief or wellness. Find out for yourself why so many of your neighbors already have. Very nice , feel better already. Nice professional group. Dr. O and his staff were helpful and spent all the time necessary to document my specific problem so Dr. O would know what course of action to take. He is very friendly and I am glad I chose his practice. Thank you for helping me. I’m happy to have found a chiropractor I am comfortable with. I look forward to a blessed relationship with all of you. Good Doctor(s)! Would recommend them any time. Great team, look forward to them helping me. Great experience. 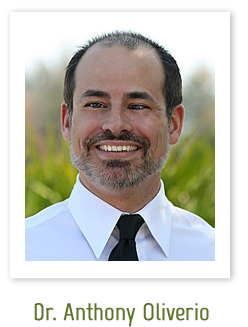 Dr. O was very caring, knowledgeable and proficient and my condition is already improving. I think that the staff and Dr are great. Very knowledgeable and gentle in the adjustment also. Seems like I have found the best office on the Ins list. I’m very pleased with my treatment by Dr. Oliverio! At 85 I hope to be as active as can be. Thank you for making my days more enjoyable. I can walk again without a cane or walker. Informative and very helpful in understanding my situation. Very thorough!! It was a very good experience and look forward to future visits. I’ve been extremely happy with the care I’ve received at a price I can afford. I will definitely refer Dr. Oliverio anyone in need of chiropractic care. Thank you for your professionalism. kindness. My back feels so much better. I am very happy with the results after only 2 visits. The office was clean and inviting; the staff was equally impressive and very friendly. I feel that I am in good hands. It was worth driving across the county. Time well spent. I feel 90% better after I left. Thank you for taking the time to get me adjusted. I function so much better. Doc was very knowledgeable and put me at ease with a thorough explanation of my injuries. Nurse Kathy was also informative and helpful. I felt very sure that I would be retuning for maintenance because I was pleased with my experience. Great experience, great staff and doctor. Very pleased. Everyone is excellent! Glad I stopped here! Everyone was professional but also very caring all seemed on board with doing all they could to help with any questions I had. Sherri was especially patient helping me with the paper & computer questions. I have been using chiropractic for 60 years and this doctor is one of the best, if not the best. I felt better than I have in a very long, and talked my wife in to coming also. She is also very impressed after the first visit!! I’m am so very happy he was referred to me. What a great results I had and I will thank my friend for referring him go me. I will do the same. I am tremendously happy with my first visit. The Doctor carefully analyzed my health issues and was sensitive to my needs. Very surprised and very happy! Thanks so much, we are off to a great start. My First time at this office was very professional and courteous. Great care and courteous service. Dr. Oliverio was very thorough and caring. Very good office visit and super accommodating to my schedule. Thank You! Very thorough and helpful. Also, very honest. Would highly recommend. First time visit to a chiropractor. Very impressed. Very much appreciate the positive messages on the sign and the Christian atmosphere. I felt like I was a member of the family all went beyond to help me out. The practice is a class act, from the reception desk through treatment by Dr O.